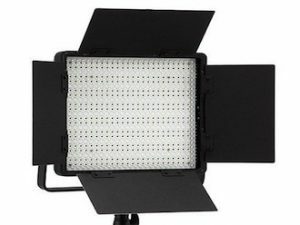 The Kino Flo VistaBeam 600 displays a broad soft beam for studio and location lighting. The VistaBeam 600 puts out more light than a 4K quartz softlight (120VAC) but uses only 9 Amps of power compared to 34 Amps needed for the quartz light. Its compact sibling, the VistaBeam 310, is half the size and delivers more light than a 2,000 watt quartz softlight. Kino Flo designed the VistaBeam series to be a lightweight alternative to conventional studio softlights such as “chicken coops” and “space lights”. VistaBeams also do a better job of illuminating interior and exterior sets with daylight quality light than HMI’s punching through fabric diffusion boxes. Fitted with narrow spectrum blue or green visual effects lamps, VistaBeams are ideal for composite screen lighting applications. The unique lighting characteristics and fixture design of the VistaBeam have already captured the imagination of film, video and photo lighting professionals worldwide, and have earned the respect of lighting departments grateful for the fresh stream of rental income. 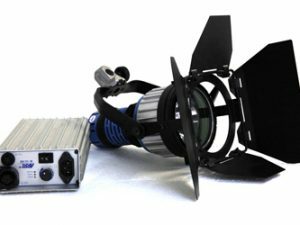 The VistaBeam 600 uses seven DMX addresses (6 for individual lamps, 7th address to control High Output/Standard Output light levels). 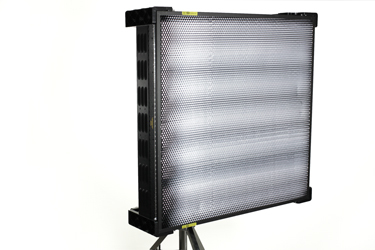 The VistaBeam Fixture includes a 90° Honeycomb Louver and Gel Frame. Kino Flo Honeycomb Louvers control and focus the light better than conventional barn doors. The specially designed metal foil Louvers are also available in 60° or 45° which narrow the light spread with minimal light loss. The Gel Frame fits into the accessory holder of the fixture. Retractable pins hold the gel frame in place. Eight clips are provided to secure the gel to the frame. The VistaBeam 600 enjoys unique optical characteristics that are very similar to the popular Kino Flo ParaBeam® fixtures. Both these lights use parabolic reflectors that put out a highly efficient lateral beam of light. Unlike conventional softlights, such as quartz or HMI sources, which disperse their light in a general pattern, the VistaBeam concentrates its beam of light at about six meters from the fixture. 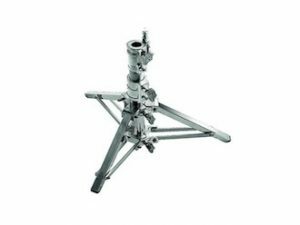 By rotating the VistaBeam fixture either vertically or horizontally on the center mounting system, the operator has control over the orientation of the beam. VistaBeams use high-output 96 Watt T7 Twin tubes. Operating on a proprietary flicker-free ballast, the 34-inch (86cm) T7 lamp produces more lumens per watt than any other high-output True Match lamp. T7’s come in True Match KF32 (3200K) tungsten balanced, KF55 (5500K) daylight balanced, and visual effects colors: a 420nm blue and a 550nm green lamp for blue and green screen composite photography. Each VistaBeam 600 comes in a study flight case.